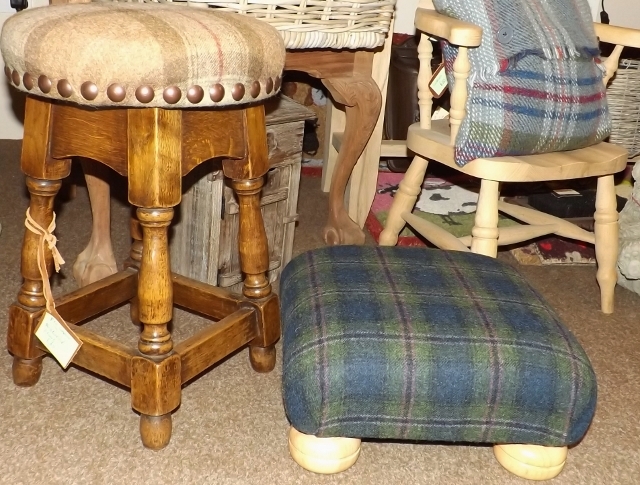 Handmade in our shop, we can also cover them with your choice of fabric. 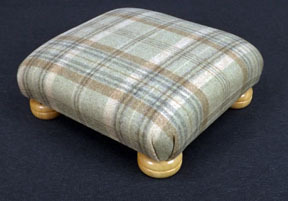 Serpentine Cabriole Legs, with a painted finish on the Legs and upholstered here in our workshop. 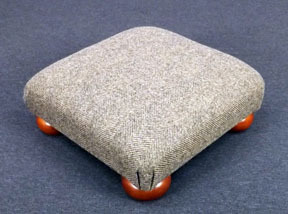 100% wool in a herring bone design, on a handmade bun stool. 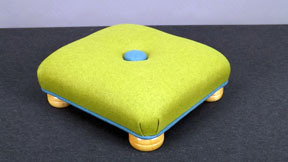 100% wool in a bright green with a giant handmade blue, wool button and matching blue piping, on a handmade bun stool. 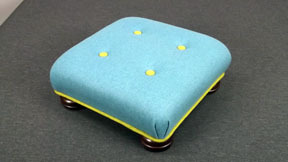 100% wool in a bright blue with bright green buttons and matching piping, on a handmade bun stool. 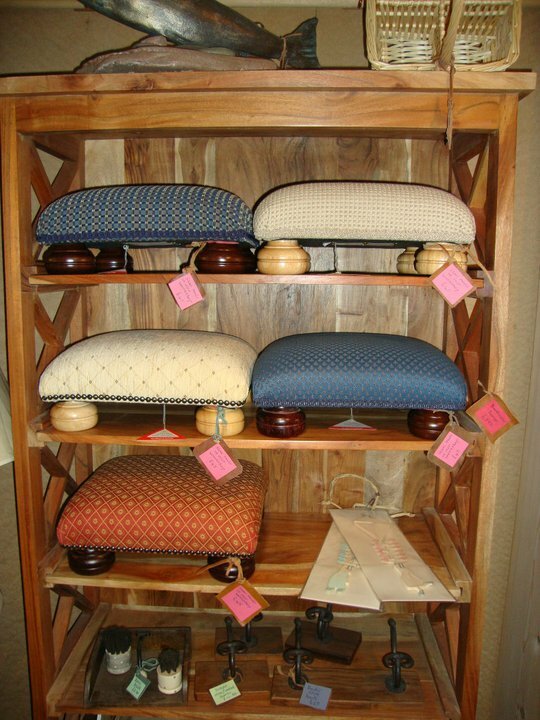 For help or information about our products, please call or email us.